This article assumes that you already have basic knowledge in using the data import feature in vintrace and Vend integration. 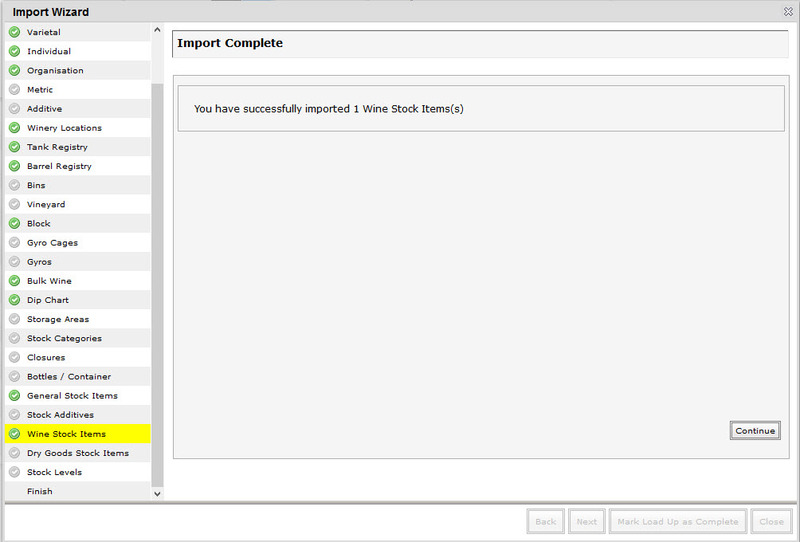 You can sync stock items to Vend from vintrace by using the stock importer utility. 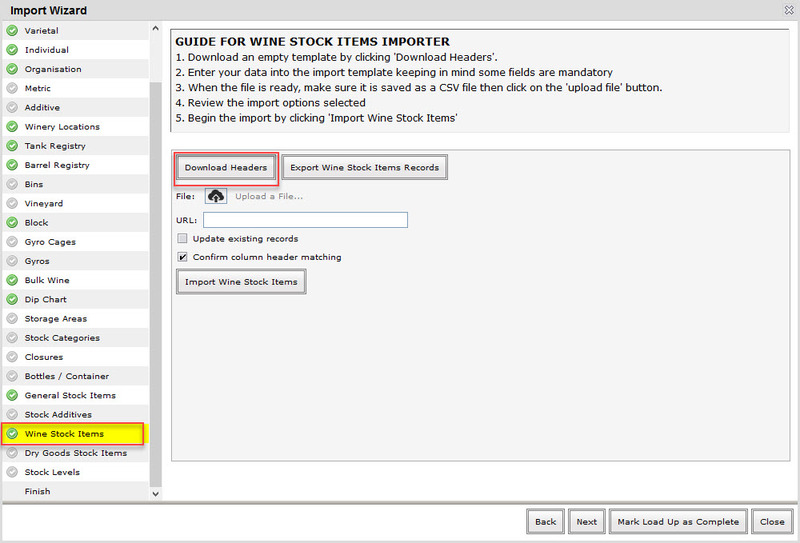 In the example below, we are going to sync a wine stock item. Go to Tools – Setup – Run Import Wizard. 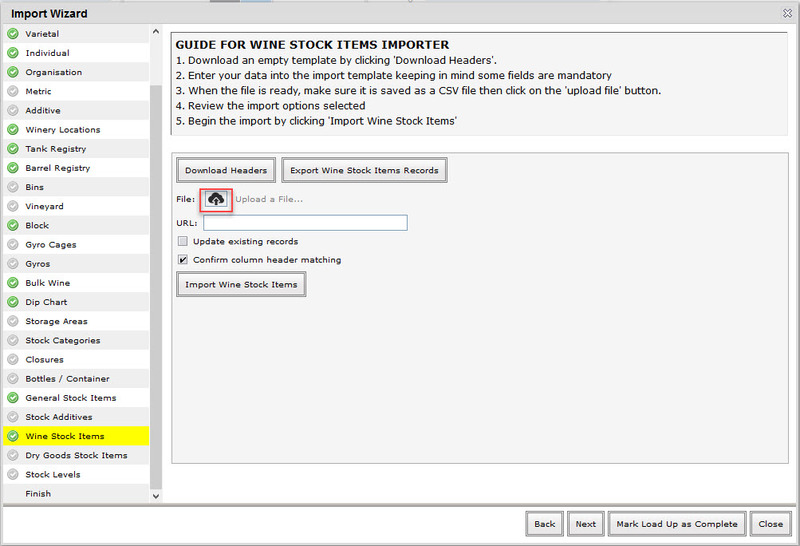 Click on Wine Stock Items on the menu on the left, then click on Download Headers. This will generate a CSV file. Open the file and enter all the stock item data necessary such as Code, Name, Unit, etc. 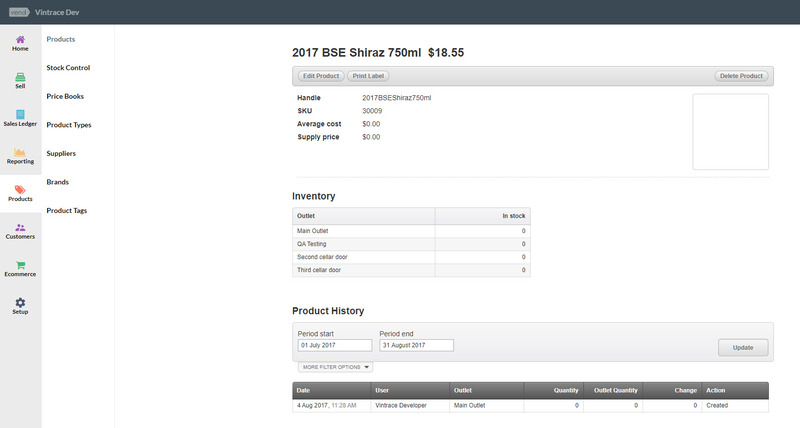 In the example below, we are trying to create a new stock item and then sync it to Vend. Enter the SKU, POS Ext Name (this will be name shown in Vend), set Sync to POS? to TRUE, provide a POS Price (if the item already exists in Vend, then no need to provide the POS Price), and provide a Revenue account for the stock item. 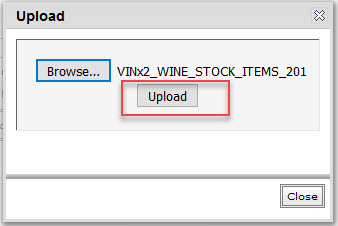 Upload the file by clicking on the Upload a File image in the Wine Stock Items Importer. Select the file and then click on Upload button. 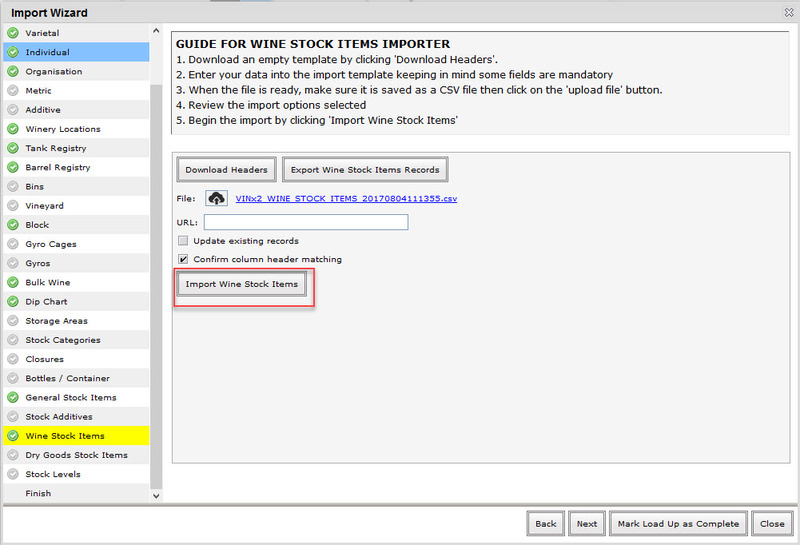 Click on Import Wine Stock Items button. 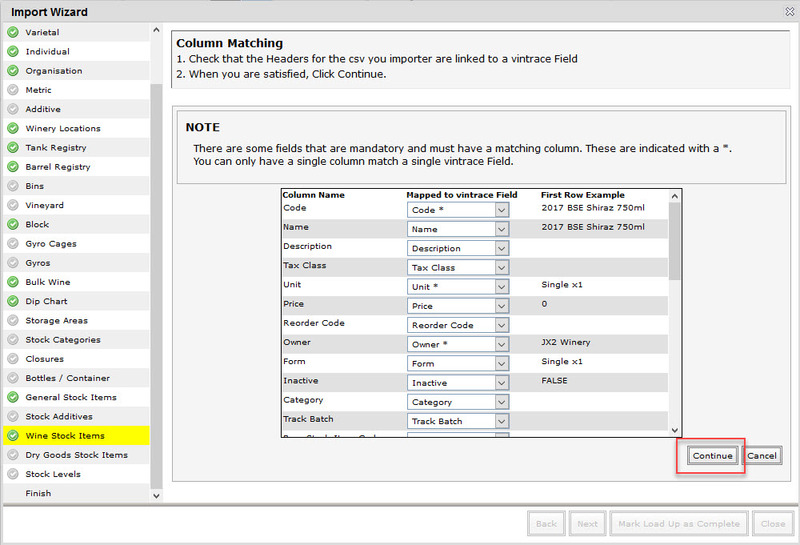 Click on Continue button in the Column Matching screen. The file import is completed. 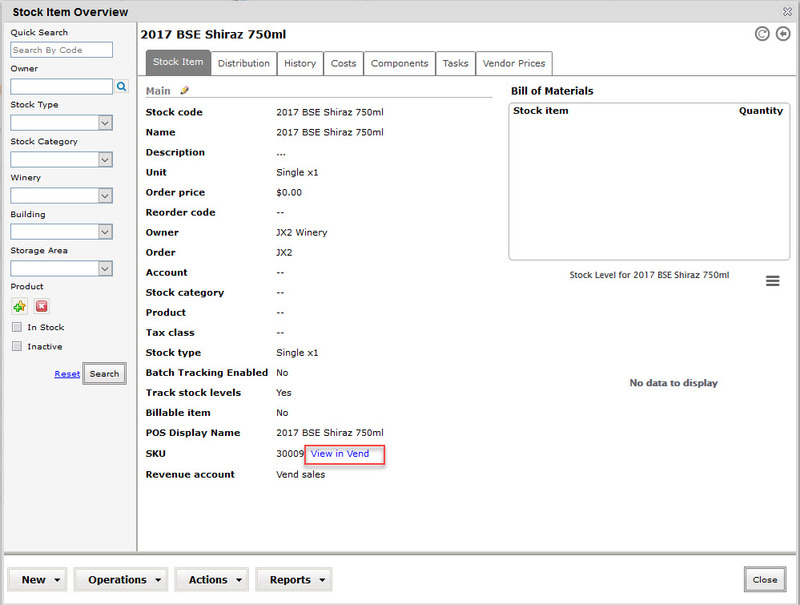 You can then view the item by typing the name in the QuickSearch bar and it will display the item in Stock Item Overview. Click on the View in Vend link beside the SKU field. This will take you to the created product in Vend.